According to Boise Basques by Gloria Pilar Totoricaguena, the building at at 202 South Capitol Boulevard had been used as a Chinese laundry and then was Chin Joe Restaurant. The uses before it became a tavern were due to its proximity to the old Boise Chinatown, which has long disapperared with few remnants remaining. The building then became the Trade Dollar Bar, and in 1948, it became the Cub Tavern. 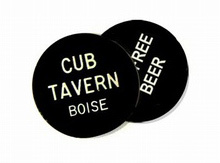 The Cub was a landmark in downtown Boise through the 50’s and was able to survive the redevelopment frenzy of the 1970’s. In the late 80’s, through the foresight of Adelia Garro Simplot and Romaine Gailey Hon , the Cub building was saved by the Basque Cultural Center of Idaho, Inc., better know as the Basque Museum and Cultural Center and the Oppenheimer Development Corporation. They agreed to lease the building to Dan Ansotegui for a restaurant that was originally to be named the Shepard’s Son. 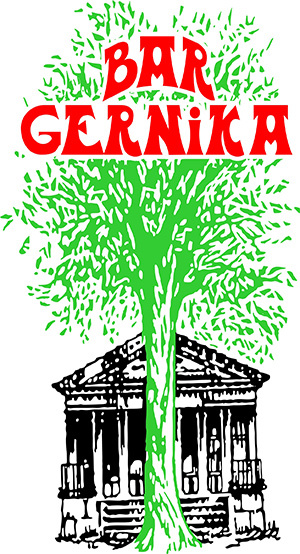 Shortly afterward it became the Gernika Basque Pub and Eatery. Renovation of the “Cub” building was completed in 1990. The work was recognized by Preservation Idaho and was presented an Orchid Award for excellence in preservation. In January of 2008, Dan passed the Gernika torch to long time employee Jeff May. Jeff had been working for Dan at the restaurant since 1999, and at Dan’s other venture, the Basque Market.